Heliotrope gemstone (also known as bloodstone) is an opaque, dark green chalcedony with red spots due to presence of iron oxide. name "Heliotrope" is derived from two Greek words meaning sun and turn; this refers to the red reflection seen when the gemstone is turned to face the sun while immersed in water. During the Middle Ages, special magic powers were ascribed to bloodstone and it was often used to carve scenes of the Crucifixion and Christian martyrs. Therefore bloodstone is sometime referred as “the martyr’s stone”. There is a legend that says that bloodstone was first formed when drops of Christ’s blood fell and stained green jasper at the foot of the cross. The most important deposits are in India, Australia, Brazil, China, and the USA. 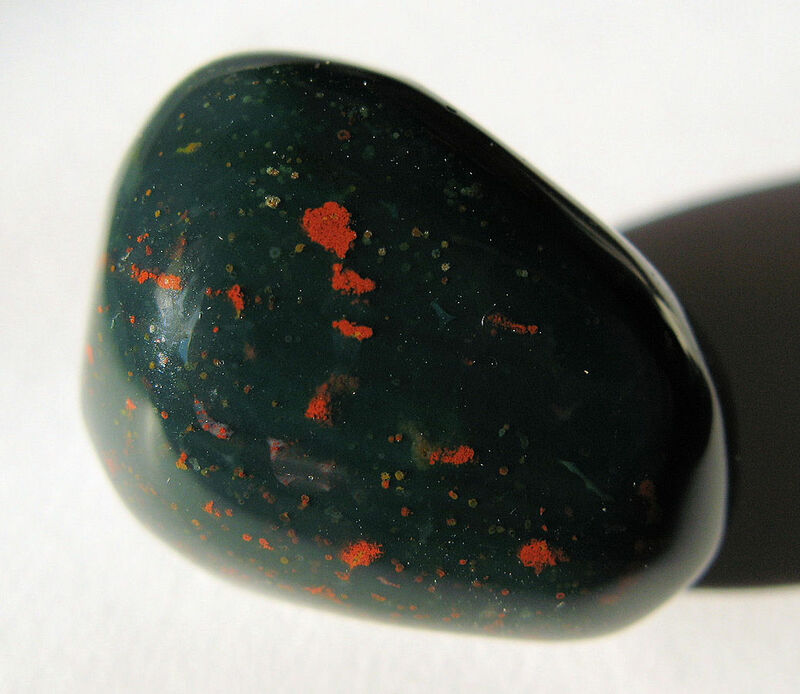 Bloodstone is more attractive when the green is not so dark and when red spots show up well. Bloodstone is readily available and inexpensive. Bloodstone is traditionally used for men’s ring and other ornamental objects. Although many gemstones have been attributed some sort of power throughout the ages, the bloodstone has held an important position as an extremely powerful and therefore highly coveted stone. According to the ancients, the bloodstone was truly a magical stone that was extremely powerful. It had extreme powers and was believed to be able to cause thunder and lightning and protect the wearer from all sorts of dangers. 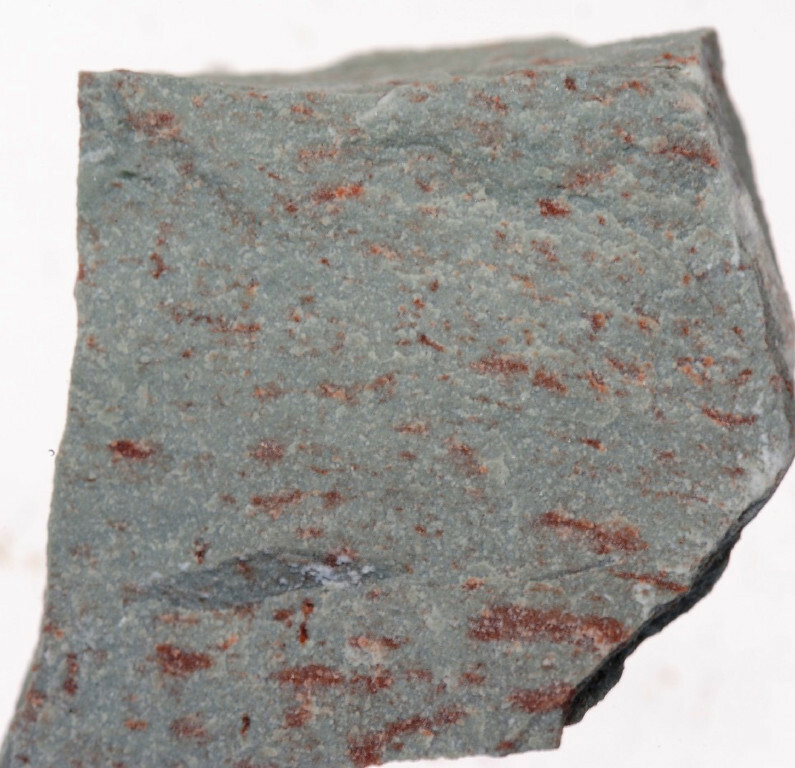 The Leyden papyrus, written in the 3rd century A.D., ascribes great power to the bloodstone states that the wearer of a bloodstone will have all barriers broken down before them and doors open to them. Up until the 1800s, it was believed that this gemstone could make the bearer invisible! The bloodstone was worn as a talisman and was believed to be able to strengthen digestive organs and stop internal or external bleeding by the Romans, Greeks and Egyptians. This belief arose from a myth that, during the crucifixion of Jesus, the bloodstone was created when blood from a Roman’s soldier’s sword dripped onto jasper. Even as far away in India, it was believed that placing a wet bloodstone on a wound would stop the bleeding. The Gnostics believed it could increase their life spans while in the Middle Ages, people believed that this gemstone could cure nosebleeds.